So where are we now? I would first like to thank Mr Brown for his clarifications, but I am not sure we’re anywhere more advanced than yesterday. 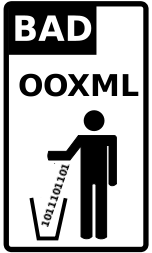 We still have no bloody OOXML, and that’s not going to happen anytime soon. The latest findings only confirm how the standardization process has become a farce. That’s right. Take a glimpse at this classic again. Microsoft goes proprietary all the way, but uses that thing called OOXML for marketing purposes, just as Tim Bray recently warned. OOXML was just a ‘dummy specification’. Nobody will ever have it implemented. Stephane Rodriguez was right all along and now this comes from SDTImes. For customers expecting an ISO-conformant Office Open XML (OOXML) in Microsoft Office, the wait will continue: Microsoft will not implement the standardized version of its own document format until Office 14 ships. Meanwhile, a service pack due in 2009 is expected to expand the formats supported by Office 2007. Could Microsoft simply be struggling to re/gain compliance with a service pack, just as Alex Brown recently advised them to do? Neil McAllister, whom we criticised recently for a foolish article, thinks it may be possible. Exactly why Microsoft is backpedaling its support for OOXML is not known. 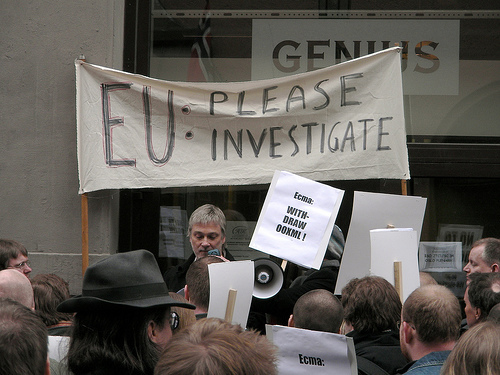 But open standards maven Andy Updegrove blogs that it may have something to do with Microsoft’s current regulatory troubles in Europe and with the standards bodies that now govern OOXML. It appears likely that Microsoft actually can’t implement a fully-compliant version of the standard just yet.